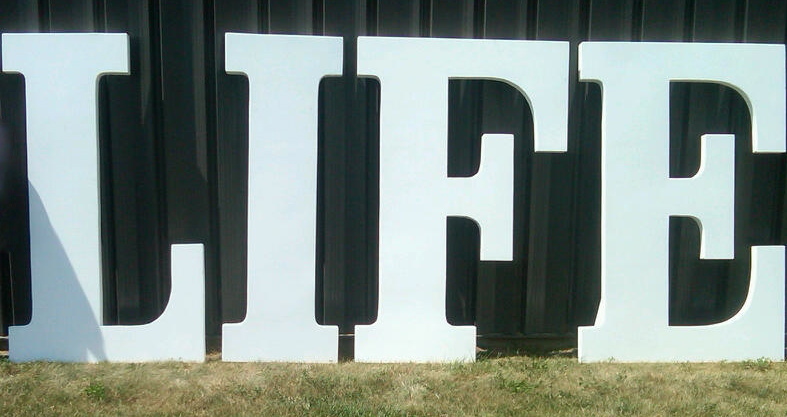 ← LIFE: Everyone will be called upon to lead – few will be ready. I was only a few years out of grad school and a year into my marriage when I got into business with co-worker Orrin Woodward. From the very beginning of our entrepreneurial adventure together Orrin was enthusiastic about getting personal improvement information into my hands. He began with the book Magic of Thinking Big by Dr. David Schwartz and followed that up with a constant barrage of audio recordings and additional books. I couldn’t have known it at the time, but this was the beginning of my real education; a self-directed learning hunger that would carry me for the next two decades. In fact, nearly everything I’ve been blessed to accomplish in that time is in some way due to the learning and growth engendered by the habit of ongoing learning inspired by those first exposures to personal development information. Thank you Orrin! The LIFE business is now one month old. It exists to bring the exact kind of information that was so critical in my own formation into the hands of others. It follows a program whereby busy adults in the modern world can learn and grow and change in the most low-drag, friction-free manner. While much of what exists out there in the training world involves expensive conferences, a “drinking through a fire hose” approach, and a massive strain on budgets (and usually culminates in the employee heading back to work with a thick binder under her arm that, at best, will end up in the credenza of her desk), the LIFE learning programs operate on the principle of “a little-at-a-time,” thereby respecting the busy schedules and distracted lives most of us lead. Additionally, though, we also know that for true change to take place (and to last), it must be reinforced over time. Baby steps of improvement taken consistently over time are the secret to massive advancement in station – not expensive one-time deluges. LIFE is in the business of producing life-changing information, and we know it works because it first worked for us! Revolutionize your life! Take the leadership challenge! Plug into a positive source of information and be prepared to be amazed at the changes you see in yourself and your results in LIFE. Welcome to the LIFE you’ve always wanted! This entry was posted in Uncategorized and tagged Business, chris brady, Information, Leadership, LIFE, Orrin Woodward, Team. Bookmark the permalink. Great to read this article , especially after having a meeting recently with an individual who’s career is to sell annual personal development programs starting at 8000 yr. !! We are positioned so well, thanks for equipping us in LIFE. Fired up! Can’t get enough LIFE! The LIFE business is brilliant. Orrin Woodward, Chris Brady and the TEAM are NOT scams, or pyramid schemes! They are true and vital ways to improve circumstances in any willing life. I am a living product of the system, on in a progression mode with a long way to go. I owe my family and my marriage to this TEAM AND Orrin Woodward. Thank you Chris Brady. We live in a world where information is more available than ever. Isn’t it interesting that what people NEED more than ever is GOOD information. LIFE fills that gap. Thanks for leading! LIFE is truly the best way to get a real education. I’ve been learning, growing, and becoming a better person everyday since I came across the TEAM-LIFE company. Thank you Chris Brady and thank you Orrin Woodward for all you do and keep doing with the rest of the policy council to improve and change lives.